The Coriander plant originated in 5,000 BC Greece, where it was first cultivated and used as a spice to flavor meats and breads. Its popularity grew throughout the Asian, Mediterranean and Middle Eastern regions as its medical and culinary properties began to gain appeal. 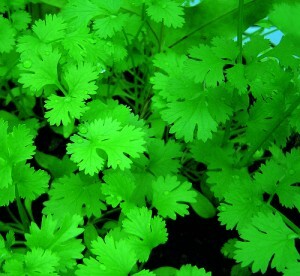 By the mid15th century cilantro, the leaves of the coriander plant, became an essential part of Latin cuisine in Mexico and Peru through the culinary influence of the Spanish conquistadors. The entire Coriander plant is edible including the roots which are featured in traditional Thai and Chinese cuisines. Cilantro leaves are derived from the coriander plant and bear a strong resemblance to Italian flat leaf parsley. In fact I often have to smell the two to tell them apart. Cilantro, although highly aromatic, has the ability to subtly enhance the other flavors in a dish. Cilantro is an elegant delicate herb often used sprinkled on salads, soups, mixed in sauces and salsas and as tenderizer for meat. Select cilantro that is deep green and vibrant, without signs of wilting or yellowing. To store, rinse well, dry and place moist in a plastic bag in the refrigerator for up to one week. Coriander the spice refers to the fruit of the coriander plant that contains two yellowish-brown seeds that are ground into powder. It is best to buy whole coriander seeds instead of coriander powder since the powder loses its flavor more quickly. 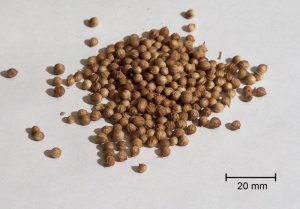 Coriander seeds can be easily ground with a mortar and pestle when needed to season soups, meats and sauces. 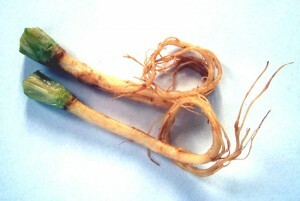 The health benefits of the coriander plant have been used since Hippocrates. Anti inflammatory. Often used to alleviate arthritis. Prevents nausea. Safe for pregnant women. Aids in healthy digestion by preventing indigestion and relieves intestinal bloating. Is known to lower blood sugar levels in diabetics by stimulating the secretion of insulin. Lowers bad cholesterol levels while increasing good cholesterol levels reducing the effects of hyperglycemia. Has antimicrobial properties. Effective antibiotic. Kills the bacteria that causes salmonella. Used to remove toxic agents and other heavy metals from the body. A good source of iron, magnesium, flavonoids and phytonutrients. Fight against the free radicals protecting cells from oxidative damage. Immune booster. Helps fight chronic infections.